Come join us as we celebrate our incredible local music scene! 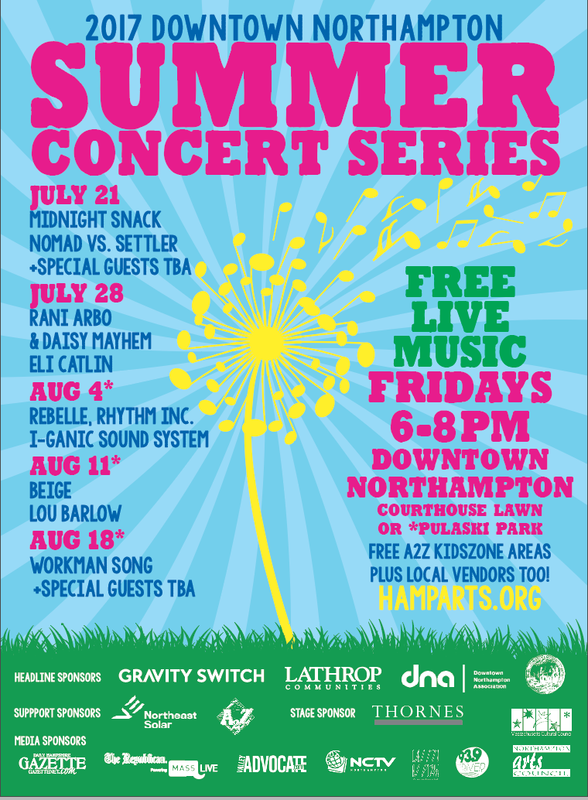 The Northampton Arts Council is proud to present the 2017 Downtown Northampton Summer Concert Series. This year we will be showcasing the best music from the pioneer valley alongside top notch touring acts while bringing together the local community to enjoy the many benefits of our picturesque downtown. Performances will be held in the heart of downtown Northampton on the Hampshire County Courthouse lawn and in the newly-renovated Pulaski Park over FIVE FRIDAY evenings starting July 21st and running through August 18th. All concerts start at 6:00 PM, are FREE and open to the public, and run until 8:00 PM. 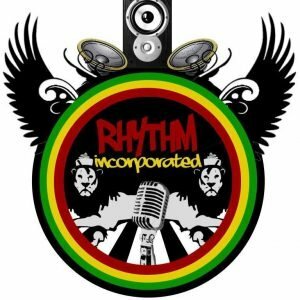 For our third summer concert series, held at Pulaski Park right on Main Street in Downtown Northampton, the Northampton Arts Council welcomes Rebelle, Rhythm Inc. and I-Ganic Sound System for a night of reggae, dance and hip-hop infused music in the park.